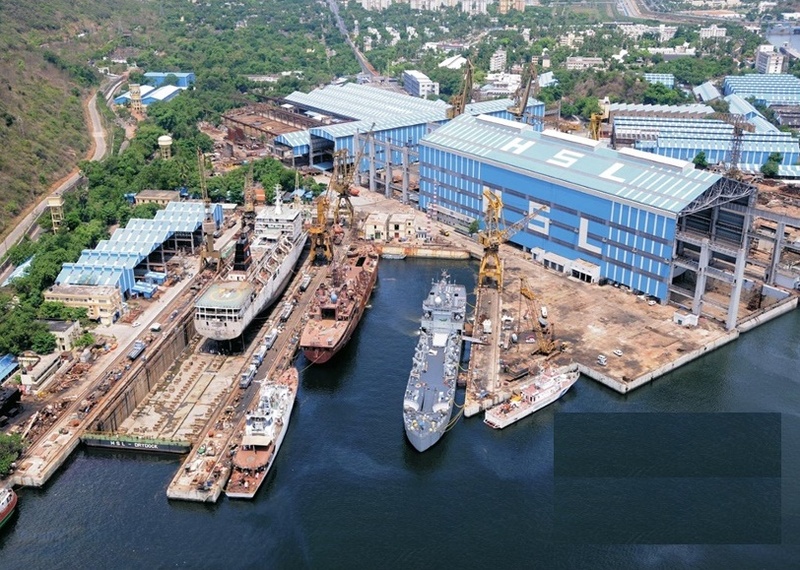 Indian Navy has signed contract with Hindustan Shipyard Limited (HSL) located in Visakhapatnam for construction of two Diving Support Vessels (DSV). These vessels will help to augment Indian Navy’s submarine support operations on either coast. These vessels will be based at Vishakhapatnam and Mumbai. These vessels are capable of effecting submarine rescue up to depths of 650 meters. The National Disaster Response Force (NDRF) will soon raise four more battalions, adding to existing 12. The four new battalions would be stationed in Jammu and Kashmir, Himachal Pradesh, Uttarakhand and NCR Delhi. NDRF is India’s elite disaster mitigation combat force established in 2006 under The Disaster Management Act, 2005. Headquartered in New Delhi, it functions under Union Ministry of Home Affairs. Union Government has approved Rs 8,606 crore for 60 projects being implemented under umbrella scheme of Border Infrastructure and Management (BIM). The projects are being implemented in 111 border districts in 17 states having the international borders with Pakistan, China, Nepal, Bhutan, Myanmar and Bangladesh. It will help to meet special development needs of people living in those areas within 50 kms of the international border. The Union Cabinet has approved conversion of Goods and Services Tax Network (GSTN) into government-owned company. Government will now own 100% of GSTN which is IT backbone to GST regime. Majority of Goods and Services Tax (GST) processes including registration, filing of returns, payment of taxes, processing of refunds is IT driven and mainly through GSTN. GSTN was set up as non-profit, non-Government, private limited company in 2013. Union Minister of Agriculture and Farmers Welfare Radha Mohan Singh launched online software for processing applications Agmark quality certification mark for agriculture products. Agmark is certification mark that assures conformity to set of standards approved by Government agency Directorate of Marketing and Inspection. It is legally enforced by Agricultural Produce (Grading and Marking) Act of 1937 (and ammended in 1986). The International Day for the Total Elimination of Nuclear Weapons is observed every year on 26 September across the world with an aim to provide an occasion for world community to reaffirm its commitment to global nuclear disarmament as high priority. It also seeks to provide opportunity to educate public and their leaders about real benefits of eliminating such weapons, and the social and economic costs of perpetuating them. The day was proclaimed in December 2013 by UN General Assembly. Indian Air Force (IAF) has successfully test fired indigenously developed Beyond Visual Range Air-to-Air Missile (BVRAAM) Astra from Su-30 figher aircraft. The missile was tested at Kalaikunda Air Force Station, West Bengal. During the test, missile successfully engaged manoeuvring target with high precise meeting mission objectives. It is one of the smallest weapon system developed by DRDO, having length of 3.8-metre and weighing 154kg. The Union cabinet on Wednesday approved a package of Rs 5500 crore for the sugar industry. Under the package, the government will give transport subsidies of Rs 1000-3000 per tonne to sugar mills, depending on their distance from ports. The cabinet approved raising the price the government directly pays to cane growers to Rs 13.88 a quintal in the new season beginning October 2018. 1. At present how many battalions does The National Disaster Response Force (NDRF) consist of? 2. The National Disaster Response Force (NDRF) was established under ___? 3. How many districts in India have international borders? 4. Who launched online software for processing applications Agmark quality certification mark for agriculture products? 5. In which year The International Day for the Total Elimination of Nuclear Weapons was proclaimed by UNGA? 6. Astra, one of the smallest missiles developed by DRDO was tested at__? 7. What is the amount fixed the government directly pays to the cane growers per quintal for the season October 2018?